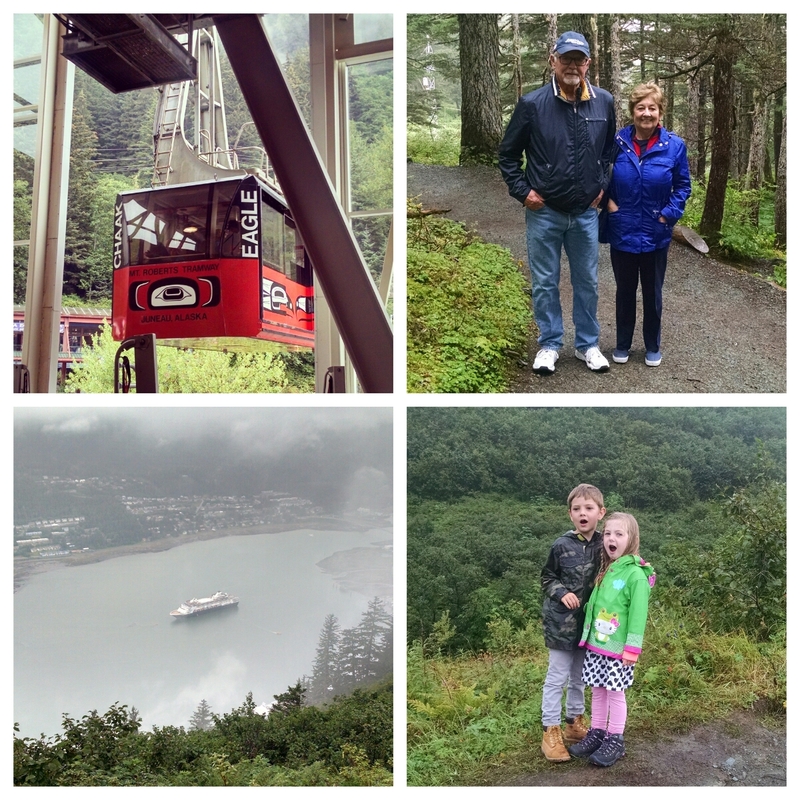 We spent the day in soggy Juneau, Alaska today. After stepping off the ship for the first time in three days, we all went our separate ways – to experience different parts of the area – before meeting up at Tracy’s King Crab Shack, which had the best king crab I’ve ever tasted. Before that the Quartet took the Mount Roberts Tram with Carl and Kaye to explore the ridge above Juneau. Tomorrow we visit Sitka. Kaye and Carl you look great. .so happy for you miss you. Awesome pictures. Tim think about the travel log business …we love you guys so much. Henry and Ruby we love you.